The National Association of Realtors (NAR) is reporting that a number of metro areas had double digit price growth in the 1st quarter, compared the prior quarter. The culprit for the continuation of price increases is largely due to shrinking inventory. The existing single family home price increased in 148 of the 174 metro areas monitored by NAR. Median existing home prices rose to $202,200 in the 1st quarter, a 7.4% increase over the 1st quarter of 2014. 2 million existing homes were available at the end of the 1st quarter and the average supply dropped to 4.6 months of housing inventory. In the first quarter or 2014 the existing home inventory was 4.9 months. Will one restaurant ignite the revitalization of Downtown Jacksonville? The owners of Forking Amazing Restaurants sure hope so! They have plans to open a high end steakhouse, The Cowford Chophouse, in the Bostwick Building at the entrance of the city. Opening is scheduled for the summer of 2016. The owners of Forking Amazing Restaurants also own and operate other popular Jacksonville restaurants including Ovinte, Bistro Aix and Pele’s Wood Fire. The building at 101 E. Bay Street was one of the first built after the Great Fire of 1901. It will now be known as the Cowford Project, an homage to an the early name for the city (due to crossing cows over the many bridges in Jacksonville). 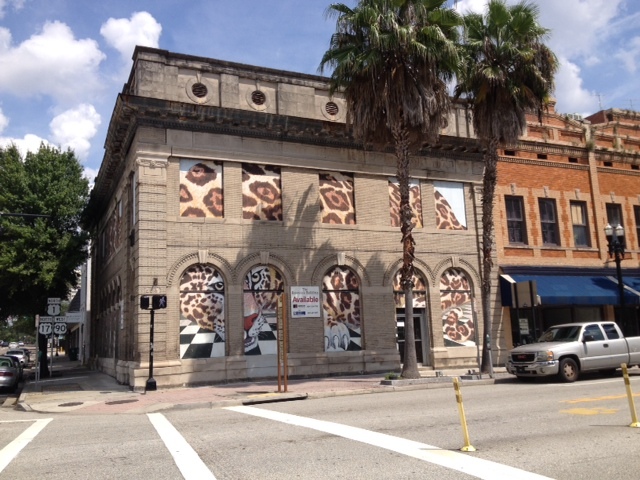 It is also commonly known as the Jaguar Building because of the murals decorating the coverings on its empty window. The major renovation of the Bostwick Building will include a rooftop lounge. The project, along with renovation of approximately 20 other buildings creates an exciting time for Jacksonville. Along many other cultural, sporting and entertainment events, the city of Jacksonville and surrounding areas would really benefit from a revitalized downtown. A new community of 600 acres and consisting of over 2,000 homes will soon be breaking ground in St. Johns County! Desirable schools, affordable housing and the low crime rate in St. Johns Country makes this area very popular and does not appear to be slowing anytime soon. The community will be named Shearwater. Shearwater will maintain its preserve-like feel with natural habitats including a kayak launch zone, parks, hiking trails and fields. The community will also feature a fitness center, resort pool, lazy river, playgrounds, tennis and sports fields. Shearwater is conveniently located close to St. Augustine and Jacksonville, which should make this a very popular new development. For more information, visit the official Shearwater website. For a lot of us, the idea of selling our home and moving go through our head from time to time. Especially when the market is good and there are enticements with low inventory and even bidding wars, which are happening on homes priced correctly. 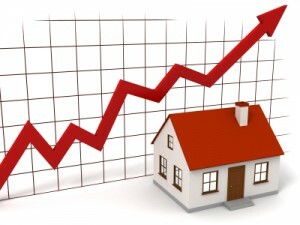 The National Association of Realtors® is reporting that existing homes sales rose 6.1% in March of this year. This is the highest annualized increase since September of 2013. The housing supply has only risen 2%, which is creating a seller’s market. The decision to list your home is a big one that needs careful consideration. To help you decide if it is the right time for you, here are some signs that it may be time to sell your home. Your home equity has returned – Since the housing decline in 2008, many homeowners were unable to sell their home due to lack of equity, which would have required them to either do a short-sale or bring cash to the closing table. With the market rebounding nicely, a lot of homeowners have seen their equity return. Corelogic reported that in the 3rd quarter of 2014, 94% of homes that sold at $200,000 or more had equity. If you are not sure of what your home is worth, please contact us and we would be happy to do a free home valuation for you. Life changing events – Life changing events are a huge reason for many people to consider selling their home. Your family may be growing or shrinking, a new job, divorce, etc. are all very common reasons to consider listing your home. Prices in your neighborhood are soaring – Home prices are increasing in most areas at a healthy rate, however you may be located in the middle of a soaring market. If you are seeing homes selling quickly and/or above asking price, now may be the right time to consider selling. Your home is no longer large enough – Needing a larger home is one of the biggest reasons we see families decide to move. From having more children, an in-law move in or the need for a home office are all reasons that often lead people to make the leap and sell their home. Whether you are looking to buy or sell or even both, please contact us. We look forward to hearing from you! Short-term debts – Lenders will be required to verify that the borrower has paid all outstanding balances on 30 day accounts, in full every month over the past 12 months. The lender can exclude the 30 day accounts from the borrower’s debt to income ratio if this has been completed. If the borrower made any late payments over the past 12 months, 5% of the outstanding balance will be included in the debt to income ratio. Employment – Lenders will be required to document the borrowers’ income stability if they have switched jobs more than 3 times over the previous 12 month or changed careers. Student loan payments – Underwriters are now unable to eliminate most student debt payments from debt to income ratios. The FHA currently allows lenders to disregard student debt payments if they have been deferred for the following 12 months. 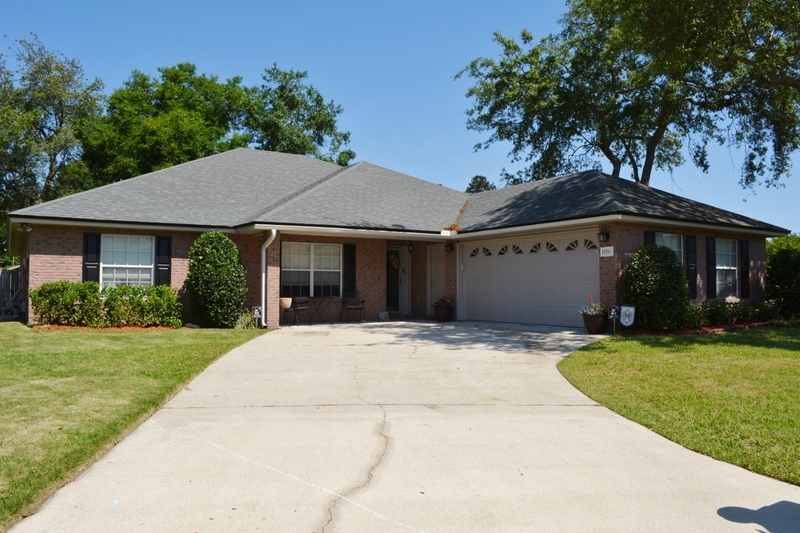 Gifford Properties presents 1376 Keel Court, Fleming Island, FL 32003. This luxury Harbor Island home features hardwood and travertine tile floors. The gourmet kitchen comes equipped with granite counter tops, tile backsplash and stainless steel appliances. There are tray ceilings in the spacious living room. The home has a separate formal dining room for entertaining. You will enjoy relaxing in the master bedroom suite with a luxury garden bath featuring dual granite vanities and a custom tile shower. The updated hall bathroom boasts beautiful wainscoting. Enjoy many peaceful evenings in the screened lanai overlooking the landscape in the fenced backyard. There is plenty of parking in the oversized two car garage. Much more to see, call and make your appointment today! In 1944 as part of the Serviceman Readjustment Act, VA loans were made available for any individual that served in active duty in the US Military for at least 90 days. In addition to servicemen and servicewomen, non-active duty personal such as those in the National Guard and Army Reserves may apply for a VA backed mortgage if they have completed a minimum of 6 years of service. Spouses of deceased or missing military service members may also apply if they have not remarried. The biggest benefit of a VA loan is that it does not require a down payment or mortgage insurance. However VA loans do require a onetime funding fee which can be paid at closing or rolled into the loan. To qualify for a VA loan, borrowers will need to provide proof of enough income to support the mortgage. VA loans are only for primary residences and cannot be used for investment or vacation properties. The total allowed amount of the mortgage is based on median homes prices in the area. In the first quarter of 2015 more Florida homeowners’ mortgages are no longer underwater. This is when a homeowner owes more than their home is worth in current market conditions. In the first quarter 23.8% of Florida homeowners with mortgages were underwater by at least 25%, meaning they owed 25% more than their homes value. Although that does not sound good, that is a decrease from 31.2% year to year. Even with this positive news, the Jacksonville market has a ways to go. In the first quarter of 2015 Jacksonville, was in the top 10 markets nationally of properties seriously underwater. Other Florida cities made the list as well including Lakeland, Tampa and Palm Bay. According to the latest data from Florida Realtors©, Florida’s housing market remained on a positive course with median homes prices, pending sales and new listings all increasing, making March the 40th consecutive month that median sale prices rose year over year. Statewide 24,811 homes closed in March, which is a 24.6% increase year to year. Existing homes now under contract rose 12.9% year to year. With median prices rising 9.2% since last year, homeowners are able to rebuild equity. While this is great news for homeowners, it presents a challenge for first time homebuyers who are trying to purchase a home before interest rates go up. If you are in the market to sell or buy and would like some free advice or a market analysis, please give me call. As even more evidence that home buyers are getting back in the market, mortgage loan applications continue their gains. Mortgage applications increased 2.3% week to week. This increase was created mostly by new purchase applications, not home refinances. Mortgage applications have increased 16% from the same week a year ago. Refinance applications only increased 1%. The average interest rate on a 30 year fixed mortgage $416,000 and under decreased to 3.83%. This is the lowest rate since January, which was 3.87%. Although most analysts are predicting interest rates to rise over the year, there are some that think they could actually go lower. With the Federal Reserve meeting next Wednesday, there may be some new guidance as to which direction rates will go.